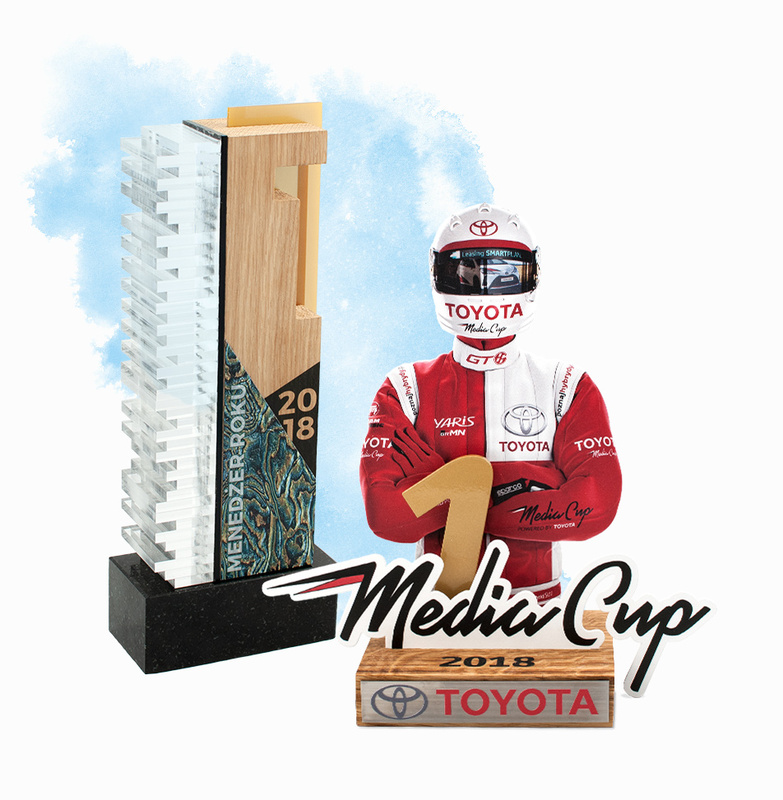 Modern economical, classic and premium trophies that meet your physical and budgetary needs. Ranging from simple designs at affordable prices, to extraordinarily complex pieces of art for more exclusive occasions. Personalised trophies with 3D effect made of various materials, perfect for any occasion. Trophies with a simple form, composed of a single element with full-colour printing. Our minimalist design enhanced with eye-catching graphics and colour. Uniquely shaped, trophies, composed of two elements, openworks and a 3D effect. Awards made of various, combined materials. Personalised with full-colour printing. Premium trophies of extraordinary formand limitless design. 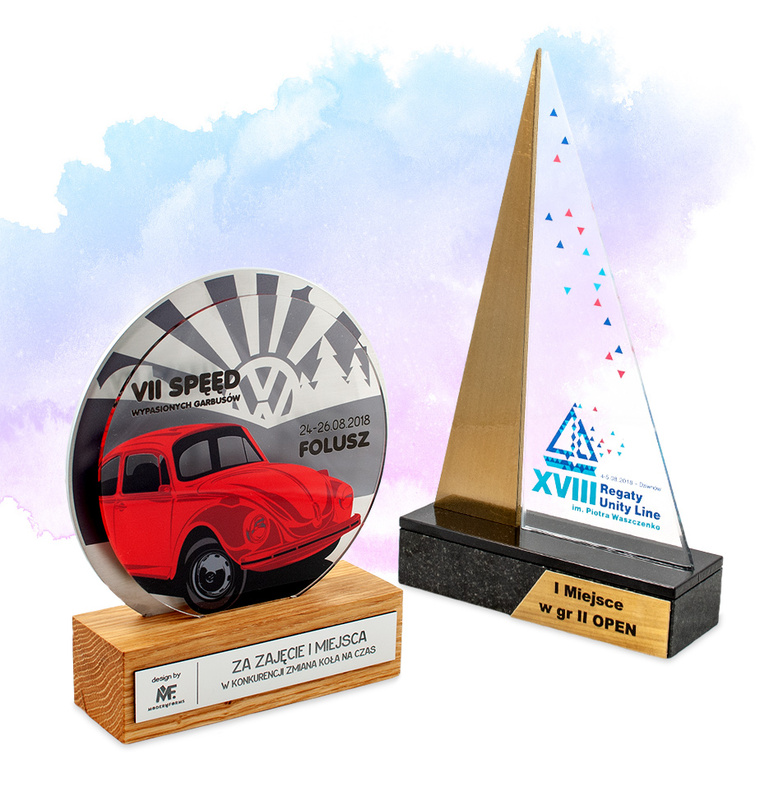 Awards made of concrete or exotic wood with openworks and 3D effect with full-colour printing. Custom elements (e.g. car keys). When you order 50 pieces or more, your can receive free prototype. For any order above 150 euro, we offer free graphic design and manufacturing preparation (save up to 40 euro!). Many famous companies, brands, and top event organisers have trusted us. Our customers appreciate our dedicated professionalism, punctuality, and innovative ideas. This is why our clients regularly use our services again and recommend our products to their business partners.